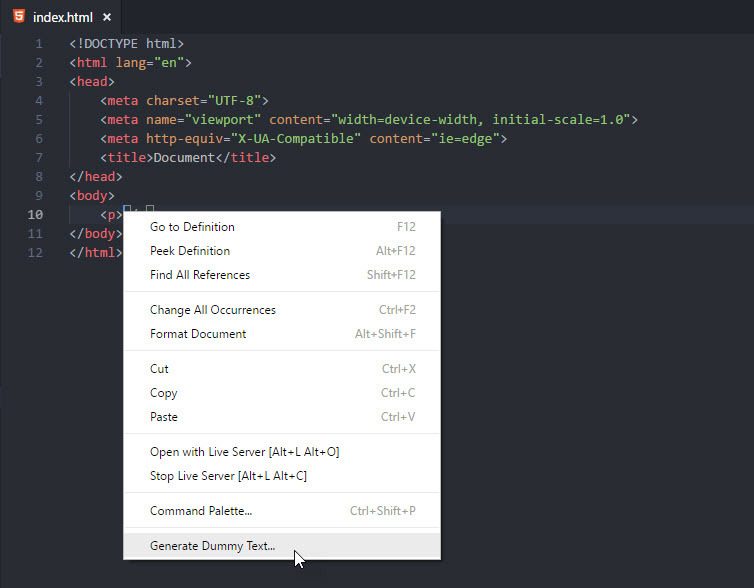 Visual Studio Code>Other>Dummy Text GeneratorNew to Visual Studio Code? Get it now. Type how many words you want to insert. The default value is 20 words. Choose a vocabulary which you want to insert. Dummy Text Generator is an open source project that is licensed under the MIT license.